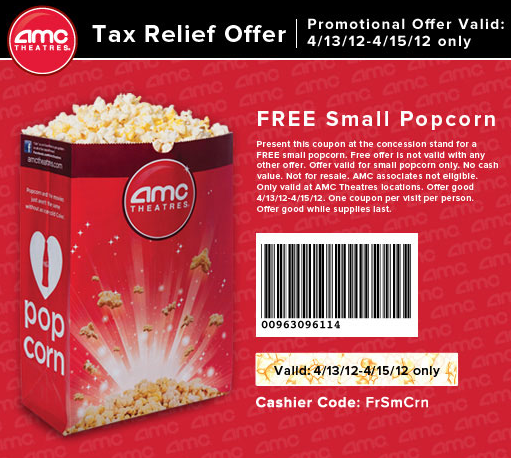 Free Popcorn at AMC Theatres April 13-15 with Printable Coupon! Heading to the movies this weekend? AMC Theatres is offering a printable coupon good for a FREE small popcorn! Simply head over to AMC Theatres Facebook page and print your coupon. This coupon is valid April 13-15th. Izzie Sparkling Juice from $0.71 per Can! Get $10 Free from Totsy & 70% Off Cloudb! Rocky the Robot Truck just $37 Shipped!